Regardless of your preferred platform, genre, or commitment level, you had no shortage of great stuff to keep you busy all year. Even long running franchises seemingly oblivious to change got a shot in the arm. I mean, Mario got a runner game? Call of Duty has starfighters AND an emotional punch? Skylanders lets you mix and match your own characters without buying an army of figures? Uncharted replaced action and adventure with walking around and looking at stuff? Heck, The Last Guardian came out! Quite a year indeed! While RimWorld might have run away with our coveted Golden Giant Fire-Breathing Robot Baby GOTY statue this year, there were a few other titles we just couldn't let go unrecognized. Let's deal with the hundred-pound Machamp in the room first: Pokemon Go is... not a great game. It is, however, a singularly magical experience. 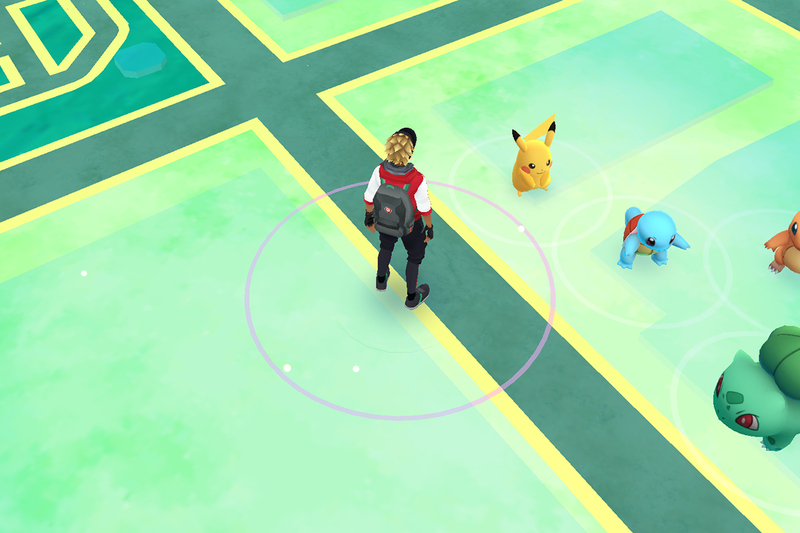 The combination of augmented reality, geocached treasure hunting, and one of the world's most beloved franchises created a perfect storm of childlike delight that kept many glued to their phones for months. Well, glued to their phones even more than usual. On the up side, we were all up, out, walking, and rediscovering our neighborhoods in a whole new light. No matter who you were or what you were doing, you'd have to be one cranky SoB not to crack a smile at the antics of a bunch of strangers laughing together as they ran from one side of your local park to another in search of virtual pocket monsters. From laughter to tears, XCOM 2 is one of those afore mentioned franchises that took some unexpected risks. I'll be honest, it took a good six hours or so before I could decide if I even liked this game or not. Firaxis' freshman outing on the XCOM series presented a game that brilliantly tricked players into thinking it was harder than it truely was. XCOM 2, however, comes at you with teeth bared. Big, sharp teeth dripping with poison. A bewildering array of strategic level options and a tutorial that railroads you into a critical 'Black Site' mission WAY before you're ready for it, doesn't do the game any favors. Top it off with new enemy powers and a heart-racing timer on most missions, and you've got a game that, at first, may make players wonder if the computer is having more fun playing than they are. Once you get over the push-push-push nature of the narrative and take some time to examine your options and think about your tactics, you'll find a wealth of useful tricks, stratagems, and build options nearly unheard of before in tactical games. Moreover, the timer-enforced hit-and-run raids of your rebel band against the alien forces occupying Earth are a spectacular departure from the overwatch crawls of the last game. Nearly every turn of every mission is a life or death situation. For real this time. 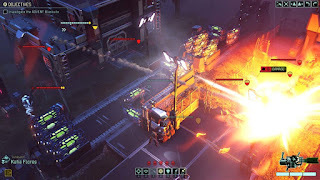 All hyperbole aside (A difficult task for me), XCOM 2 is the finest turn-based tactics game yet produced. Much like its predecessor, it impeccably balances options and constraints while keeping the scale manageable but adds a layer of real danger lacking in it's paper tiger parent. Had RimWorld alpha 13 not blow us all away, XCOM 2 was a shoo-in for 2016's Game of the Year. If you have any interest at all, don't miss it! Finally, Superhot is ready to deliver both laughter and tears was we round out our little best-of-the-rest feature. Born from the indie game jam scene three years ago, it is an understatement that Superhot was eagerly anticipated. The brilliant "Time only moves when you do" gimmick was a masterstroke that put even its original three level prototype on the hit list of players around the world. 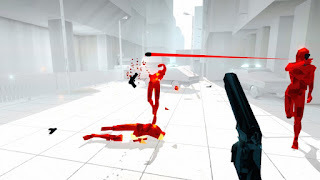 Superhot is an amazing deconstruction of the FPS genre that turns the normally twitch-centric gameplay into a pressure cooker of a puzzle game. The retail release of Superhot exceeded all expectations. The twisted little cyberpunk plot breaks the fourth wall in a way not seen since Eternal Darkness. The creepy quips to and from the game's video game addicted protagonist, presented in a retro BBS style complete with curved CRT monitor effects, are sure to pop up in meme machines across the Internet for years to come. Add in an unlockable wave-based survival mode, a custom video portal for easy uploading of your greatest escapades, and a few other silly little secrets I won't spoil here, and you've got an entertainment package that must be part of every gamer's collection. 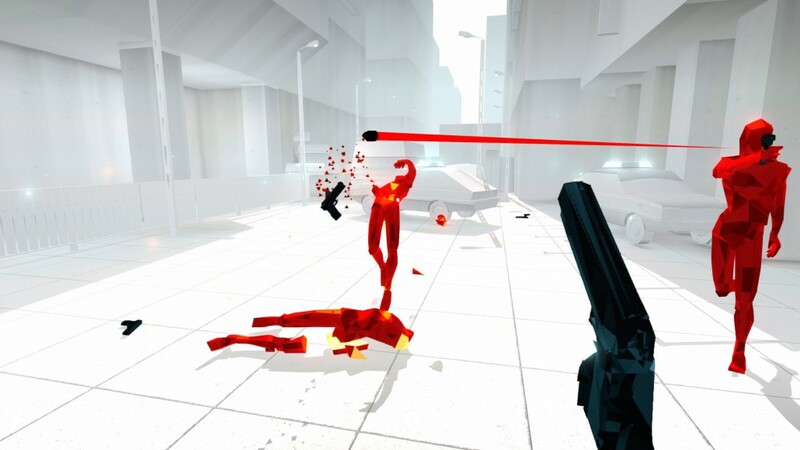 If you've been waiting for the next Portal, look no further than Superhot.